Journalism that seeks the truth is the way to overcome "fake news"
The following articles reflect on the relevance of Pope Francis' message for world communications day (https://w2.vatican.va/content/francesco/en/messages/communications/documents/papa-francesco_20180124_messaggio-comunicazioni-sociali.html). First, let us reflect on God’s Word. Pope says journalism that seeks the truth is the way to overcome "fake news"
Rome (CNN) Pope Francis released a message condemning "fake news," saying that it's a "sign of intolerant and hypersensitive attitudes, and leads only to the spread of arrogance and hatred." The Vatican says the message is part of the Pope's World Communications Day, but some at St. Peter's Square say the Pope was probably sending a message to Donald Trump and other world leaders who have been using the phrase "fake news." The tragic history of human sin, the Pope says in his message, is the first "fake news" and it dates back to the book of Genesis, when the "crafty serpent" lied to the woman. In present day, according to the Pope's message the fast digital world helps fuel the spread of "fake news" -- which he defines as "the spreading of disinformation on line or in the traditional media." "Spreading fake news can serve to advance specific goals, influence political decisions and serve economic interests," the Pope said. The Pope's message blames the difficulty in unmasking and eliminating fake news to people interacting with homogeneous news environments rather than listening to differing perspectives and opinions. "Disinformation thus thrives on the absence of healthy confrontation with other sources of information that could effectively challenge prejudices and generate constructive dialogue; instead, it risks turning people into unwilling accomplices in spreading biased and baseless ideas," the Pope's message said. Journalism that seeks the truth, the Pope's message says, is the way to overcome this "fake news" phenomenon. And hence his dedication of World Day of Communication to "'The truth will set you free'. Fake news and journalism for peace." "I would like to contribute to our shared commitment to stemming the spread of fake news and to rediscovering the dignity of journalism and the personal responsibility of journalists to communicate the truth. "Praiseworthy efforts are being made to create educational programs aimed at helping people to interpret and assess information provided by the media, and teaching them to take an active part in unmasking falsehoods, rather than unwittingly contributing to the spread of disinformation." Catholics have been observing World Communication day since 1967. The Pope's message is traditionally published on January 24 during the day of the feast of St. Francis de Sales, the patron saint of journalists. Catholics don't celebrate World Communication Day until May 13, but the announcement is made early to give bishops and priests time to prepare for local and national celebrations. Pope Francis has fallen victim to fake news himself. First when a fake news site falsely reported the Pope endorsed Hillary Clinton for President. And then again, when another fake news site falsely reported he endorsed Donald Trump for President. Companies who have helped spread fake news are in the hot seat. Media giants Facebook, Twitter and Google have testified before US Congress on how their sites were used as tools to disseminate misinformation during the 2016 US presidential election. With Facebook releasing that up to 150 million Americans have been exposed to content generated on its platform by a Russian government linked troll farm. 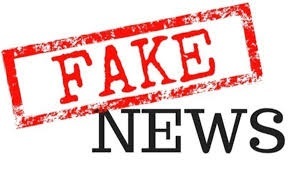 The British Government is setting up a new unit to tackle fake news, a Downing Street spokesman told CNN Tuesday. The National Security Communications Unit will be tasked with "such things as combating disinformation by state actors and others," the spokesman said. A start date for the unit has not yet been set, but the Downing Street spokesman said UK Defense Secretary, Gavin Williamson, will give provide further details in a statement "in due course." While Trump is probably the most well known leader to use the term "fake news" to attack journalism he is not the only one. Authoritarian leaders have jumped on his bandwagon. Syria President Bashar Al-Assad discounted allegations of torture in one of his military prisons by saying "We are living in a fake news era." Rodrigo Duterte, President of the Philippines, tried to crack down on a story he didn't like by using the phrase "fake news" in a press conference. And Venezuela President Nicolas Maduro has tagged the global media as "fake news" when stories about his country are not of his liking. The Pope's latest message on World Communication Day is "Peace is the true news." And the truth rests on the shoulders of those whose jobs it is to provide information: "journalists, the protectors of news." It's not a job, but instead a mission. Journalism for peace, the Pope says, "is truthful and opposed to falsehoods, rhetorical slogans and sensational headlines." This is not the first time Pope Francis has encouraged constructive communication and discouraged the spread of scandalous stories. During his 2017 World Communication's Day message titled "Fear not, for I am with you, Communicating Hope and Trust in our Time" he advocated for the dissemination of "good news" and the condemned "bad news" that spreads fear. ROME — The serpent in the Garden of Eden hissed the first fake news to Eve and it all went downhill from there, Pope Francis writes in a major document about the phenomenon of fake news released on Wednesday. “We need to unmask what could be called the ‘snake-tactics’ used by those who disguise themselves in order to strike at any time and place,” the pope writes in a message ahead of what the church has designated as its World Day of Social Communications, in May.